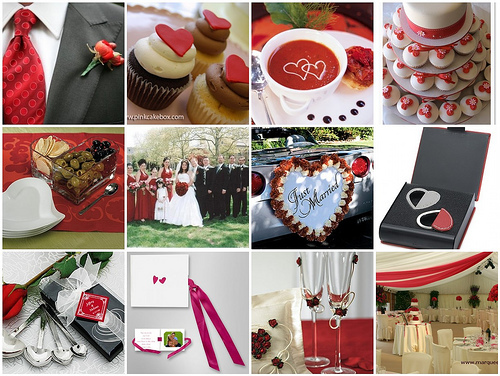 A Valentine’s Day theme wedding is sure to be a romantic event with careful planning and operation. Here are some ideas and tips for your big day. * Invitations: There are plenty of romantic wedding invitation designs out there, choose one with doves, roses, hearts or other Valentine’s Day typical signs to set the mood for your wedding ceremony. Pick your favorite envelopes with red liners and don’t forget the double heart stamps. 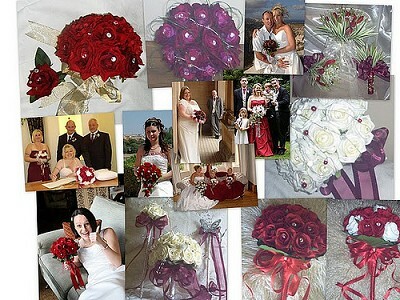 * Color Scheme: Pink, purple, red and white are traditional Valentine’s Day colors. However, just choose your favorite shades and hues to decorate your wedding party. * Wedding Dress: A romantic bridal gown is a must for a Valentine theme wedding. Fluffy skirts, off the shoulder collars, puffy sleeves, sweetheart neckline and appliqués are ideal incorporation for Valentine’s outfit. You may even add a little red or pink touch to your dress, or choose a pink wedding dress for a sweet princess look. Hot lace or light-colored pearl embellishments are also amazing. 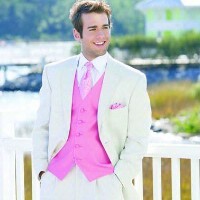 * Attire: The groom and his best men should wear formal tuxedos to match the romantic atmosphere. They may even try red or pink shirts to match the color scheme. The bridal party gowns should be as romantic as the wedding theme, but not overpower the wedding dress. * Flowers: Undoubtedly, roses are the favorite flowers for a Valentine wedding, and pink, purple, red or white blooms match the theme. Pink lilies or tulips are also great choices which add a unique touch. * Decorations: Besides flowers, there are still other decorations such as candles, lace and ribbons. Scatter heart-shaped confetti on guest tables and hang heart-shaped balloons over the entrance arc for a whimsical touch. * Menu: A romantic menu could include any foods you like, such as your first date dinner. Choose chocolate covered strawberries as your appetizers. Rich hot cocoa is warm and popular in the winter holiday. Pink champagne is a superb choice for a romantic wedding. 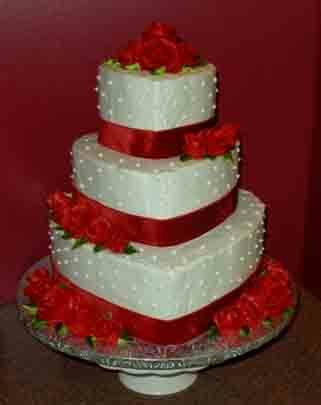 * Wedding Cake: White chocolate and red roses covered heart-shaped wedding cake would be a perfect match for your Valentine’s wedding. 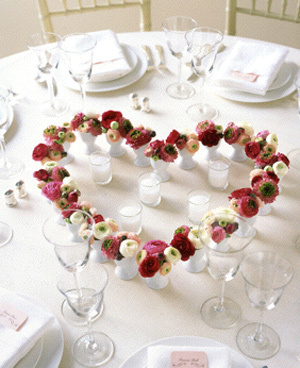 * Wedding Favors: Heart shaped favors may offer your guests a touch of romance. 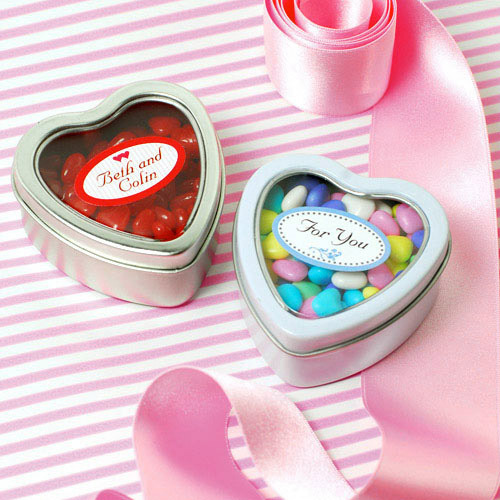 Colorful candies, strawberry jams, sparkling spoons, double heart photo frames are perfect for Valentine favors. 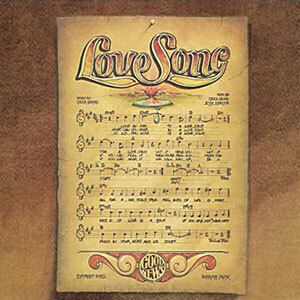 * Wedding Music: Choose love songs for weddings to play during reception. Contact us today to have this set up for you for free. Free Informal Notes When You Order Birchcraft Wedding Invitations by April 30th. You can see the entire line of Birchcraft invitations here. Remember if you are a client of HVC you will receive 50% off the full retail cost. All couples not contracted will receive 20% off the full retail cost. Birtchcraft has invitation styles for every bride, every theme and every budget. They have several new styles just added for the 2012 wedding season. Please let us know if you would like to set up a time to come in and view our invitation books and start your wedding invitation order. Traditionally, the bride’s parents host the wedding and their names appear on the host line. However, with blended families, couples marrying later in life and varying economic situations, the hosts may not be the bride’s parents but a combination of hosts so follow the circumstances that fit your wedding. If the groom’s parents are co-hosting the wedding along with the bride’s parents, it is customary for the bride’s parent’s names to appear first and the groom’s parent’s names to follow. If the groom’s parents are not co-hosting the wedding but the couple wishes to acknowledge them, their name appears after the groom’s name. Titles are not spelled out, instead use the abbreviations for Mr., Mrs. and Ms. The title Doctor should not be abbreviated. If the bride has the same last name as her parents, then only use her first and middle name. The groom’s complete name is used with his title, Mr., Doctor, Captain. In a situation where there is a divorce the parent’s names should appear on a separate line without the word “and.” If the Mom is remarried use her married name. In years gone by it wasn’t proper to include a stepparent’s name, however, if the bride or groom wishes, they may add their step parent’s name. In cases where a parent is deceased and the bride or groom wants to include their name, they should make it clear that the person is deceased by including the word “late.” An example of this wording is John Jones and the late Mary Jones. Omit titles as they would appear awkward. If the ceremony is being performed in a church, synagogue, mosque or any house of worship then the phrase “the honour of your presence” is used. There are many variations of wording that are acceptable and proper for the couple to choose. When the ceremony and reception are in separate locations, then a separate reception card is customary. If you are inviting some guests only to the ceremony, then a separate reception card is necessary. Couples wishing to have a reception with casual attire or a black tie affair, they should place that information on the reception card or on the lower right hand corner of the invite. Bridal registry information should not be placed anywhere on your wedding invitation. A bride is obligated to invite engaged friends, and relatives with a guest. This is also true for guests that have a live in romantic partner. If your friends or family members are just dating it is not mandatory to include a guest for them. If your guest is in a long term relationship then the decision is up to you; you do need to be careful to be consistent with your invites as not to insult any of your friends or family members. Some unmarried guests may be insulted if they are not permitted to bring a guest, so be prepared with a stock answer. Something in the line of, “I’d love to have everyone bring a guest but it just isn’t possible because ….. ” and then give your reason. Perhaps your church or reception room is too small, or too costly, or if I permit you to bring a guest then I will have to allow so and so to bring a guest also. Couples are not obligated to permit their bridesmaids and groomsmen to bring a guest, however it is a nice gesture since they are doing so much for you. Hand written envelopes are a must; please do not use labels to address your invitations. You may handwrite your own, have a friend help you or if your budget permits, hire a calligrapher to address the wedding invitations. It is best to send all your invitations at the same time. Tradition has it that a bride should send her invitations about six to eight weeks before her wedding, with an R.S.V.P. date of three to four weeks before the wedding. If a guest lives out of town or in another country and you would like to give them more time to respond, then send them a letter ahead of time. This way you won’t have two sets of invitations going out giving your guests the impression that you have an A and B invite list. Wedding invitations etiquette is a little tricky so in addition to this blog you may wish to consult Martha Stewart’s or Emily Post’s web sites for further information. Choosing your wedding color theme is one of the first decisions you’ll need to make when you start planning your wedding. Colors will set the tone of your wedding and determine the dresses, decor, and stationery that you order. Whether you’re thinking about a bold color combination or something more subdued, considering these factors will help you choose the right wedding colors theme. First of all, consider the colors that will make up your background. For most couples, this will be a church or religious establishment followed by a banquet hall. Take trips to the place where your ceremony is going to happen. What color are the carpets? What color are the walls? If there is stained glass in the windows, what colors are used? Take notes and even take photos of your ceremony location. Then take a visit to your reception hall. Again, jot down or take photos of the general decor. Think about what colors would and would not go with your wedding ceremony and reception locales. If the church you’re getting married in has red carpets and primary colors in its stained glass windows, a lime green and hot pink combination just might clash. Red, navy blue, dark green, or other bold primary colors would go well with the windows, while in summer you can probably do pastels. Loud neon colors would just be too much when there’s already a lot of color happening. If you haven’t chosen a ceremony location yet, try to find something with a blank pallet of white walls so there won’t be any limitations in your wedding color combination choices. Don’t forget to think about your bridesmaids. Although you may look good in every color of the rainbow, your gal pals may not. Some people just don’t look good in mustard yellow or fire engine red. Ask your girls if there are any colors they usually try to avoid and cross those colors off of your options list. Remember that darker colors can have a slimming effect, and weight conscious bridesmaids will certainly not want to wear a shade of white. Once you’ve narrowed down your wedding color theme choices, think about what colors generally go with the season of your wedding. Oranges and yellows can work great for a fall wedding, while light blue and silver surely speak of a winter wonderland theme wedding. Darker colors are usually used in for a winter wedding, while pastels reign for spring weddings. Bold colors are great for summer weddings or beach-themed weddings. Although those may be the trends, don’t be afraid to break from tradition to use your favorite color combination. Make sure you choose wedding colors you enjoy, and not an outrageous combination you’ll be sick of by the time your honeymoon rolls around! Follow these tips and you’re sure to come up with the perfect combination for you. Is it okay to specify that you want cash gifts on your wedding invitations? Traditional etiquette – No. Modern etiquette – No. In a word – NO. This has been a hot topic for a while in the wedding world. Here’s some numbers – according to EmilyPost.com during a survey carried out by WeddingChannel.com in 2001 “42% of brides and grooms-to-be said that “how to request money as a wedding gift” is the most challenging etiquette issue they face as they plan their weddings”. Then years later and I’m guessing it may be even more than that. But, notice the wording – not “whether” to request money as a gift, but “how”. A little background – pretty much every etiquette expert out there will tell you that it is not acceptable to ask for cash as a gift, or in fact to mention gifts at all on an invitation. Even saying “no gifts please”. The definition of gift is actually “something voluntarily transferred by one person to another”. Notice the voluntary part. That means that gift is given by the giver of their own choice, and the gift itself is of their own choosing. You should never assume that someone will give a gift – a gift is always optional, so any hint that you are expecting gifts can be seen as greedy. While I’m sure there are many people who aren’t necessarily offended by a couple asking them for money (and no, I don’t think it really matters how it’s done – whether it’s with a cute poem or saying “no gifts please” or writing “monetary wedding” on your invitation – it all boils down to the same thing), there are likely just as many who are. Why would couples consider alluding to cash gifts on their invitations? There are a number of reasons; however, I think that there are two that most likely are causing a rise in these sorts of requests. First, many couples are footing some or all of the bill for their wedding, and realistically feel that a cash gift will help them recoup the cost of their wedding. Second, many couples these days are living together before they are married, or are well established on their own, and have many of the traditional wedding gifts already (china, flatware, appliances, linens etc.). Interestingly, a nationwide survey proved that 78% of consumers prefer to give cash as a wedding gift. I think that’s extremely significant, because one of the reasons that I oppose the concept of asking for cash as a gift is that most of your guests *will* give you money. Yes, I realize that this varies geographically and culturally etc., but what I often tell my clients is that most of their guests will likely give them money anyway, so they really don’t need to be told to. Those that don’t plan on giving money as a gift, will likely be the ones who *are* offended by their request. So there really isn’t much to gain by asking for a monetary gift, but quite a bit to lose – at least in the tact department. Taking all of the above into consideration, of course many couples would prefer to receive cash gifts, for one reason or another. So is there a tactful way of spreading the word? Let’s start with what isn’t tactful: mentioning gifts directly on your invitation. If you feel you must put it in writing, please PLEASE do NOT include in on the main part of your invitation. I wish there was a gentler way of saying this, but asking for cash gifts directly on your wedding invitation itself is just plain wrong for so many reasons. Do not put your guests in the uncomfortable position of receiving an invite that invites them to share your joyful day and two lines later let’s them know you’d like cold hard cash please. A related note: While adding a registry card is common for bridal shower invitations, it is really not appropriate to include with your wedding invitation. The point of a shower is to “shower” the bride with gifts, so it’s a different situation entirely. It’s not cool to ask for cash, and it’s still not cool to use your wedding invitation to tell your guests what to buy you. How can you let your wishes be known, without ending up in the etiquette doghouse? There are really two good ways that I would suggest, if you feel that it’s absolutely necessary. First, the traditional way is to spread the word amongst your immediate family and bridal party, and let them spread the word amongst your guests, discreetly of course. Guest who are curious will ask what you might like or where you are registered – those who have already made up their mind will not, but they will also not find themselves in the awkward situation of feeling they have to give a specific gift of cash. The modern way is to add the information to your wedding website – in fact, the purpose of your wedding site is to let your guests know any additional information that they might need. If you absolutely have to, this would be the place for a discreet note about your gift preferences or a link to your registry. In the final analysis, I think this issue is really less about adhering to traditional etiquette and more about being respectful toward your guests. Yes, they will almost certainly give you a gift. Yes, it will probably be a cash. Yes, it may be a hideous quilt, but that always makes for a great story 20 years from now. Don’t lose sight of what your wedding is really about – sharing one of life’s most special moments with the people who love and care for you. Not whether or not they open their pocketbook and how wide. A new take on “something old” will be seen trending in 2012 weddings. Vintage inspirations are here to stay – however, we will start to see vintage used in a much need variation: good-bye rustic vintage, hello sophisticated old-world glamour. We welcome glamorous, romantic and old hollywood-style in bridal gowns in 2012. Designers have embraced and combined flowing elegance with texture and colour to produce show stopping gowns. Bridal couples will continue to incorporate family heirlooms and traditions into their 2012 wedding, just with less mason jars, tin cans and vintage luggage. The ‘shabby-chic’ will be replaced by detailed French lace on dresses, favours, cake detail, bouquet wraps, and invitations. Think old-world glamour meets modern sophistication with lavish furnishings, rich textures, lots of white, and some metallics in grand traditional settings. 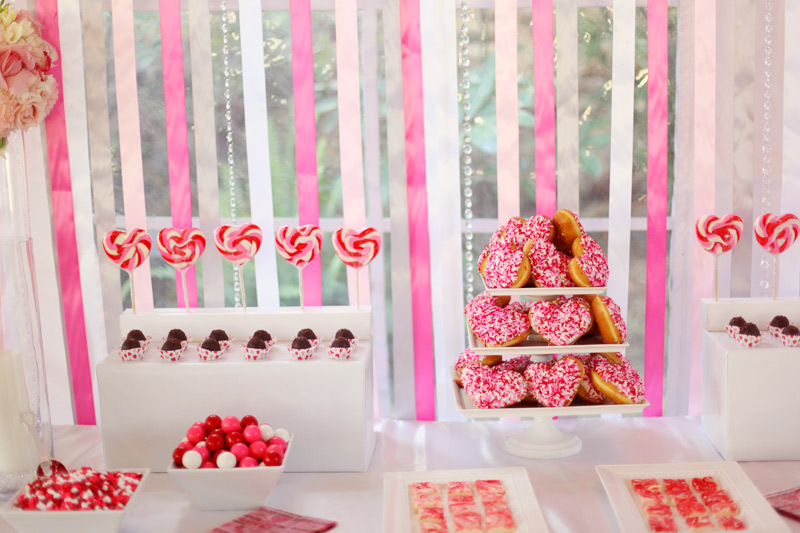 The cupcake and candy bar trend of previous seasons will shift towards cookies and dessert tables in 2012. Expect to start seeing more cookies, pies, doughnuts, and “hand-made” candy being served to fulfill the sweet tooth cravings of guests at 2012 weddings. We also expect to see a much anticipated return of the traditional groom’s cake. If someone hasn’t responded to your invitation, 1 week past the “Reply by” date, call him or her and confirm over the phone. Children over the age of 16 get their own invitations. Send your parents and wedding party invitations, as a keepsake. They don’t have to reply. You have to put return postage on your RSVP’s. Write out names in full, including middle names. Omit a middle name if necessary, rather than using an initial. 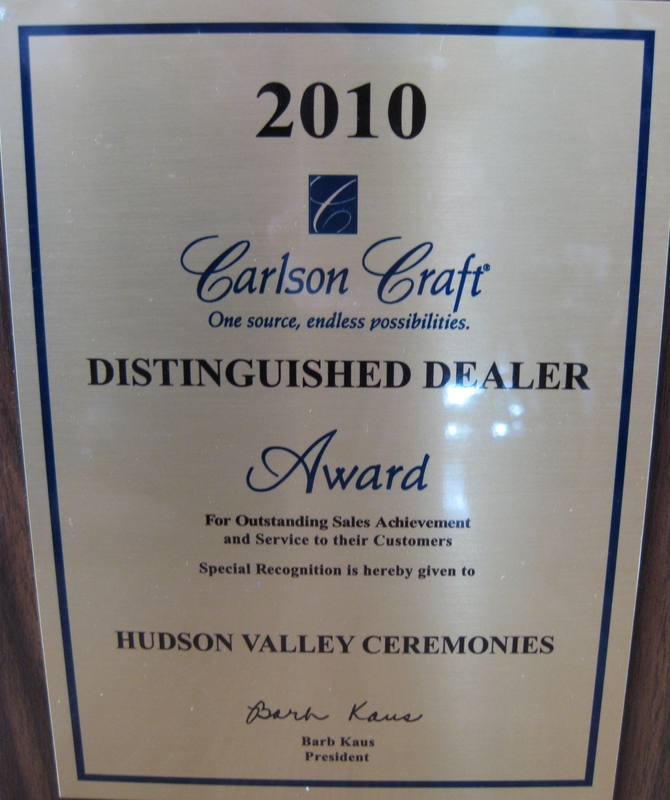 Hudson Valley Ceremonies has received a Carlson Craft excellence award for 2010. Each year Carlson Craft, the nation’s leading wholesale printing company presents only a few select businesses with this prestigious award for outstanding performance and exceptional sales achievements. Hudson Valley Ceremonies line of Carlson Craft invitations can be viewed here. WeddingWire, the nation’s leading wedding technology company, is thrilled to announce Hudson Valley Ceremonies has been selected to receive the prestigious annual WeddingWire Bride’s Choice Awards™ 2011 for Wedding Planning, Officiant Services and Invitation Services! 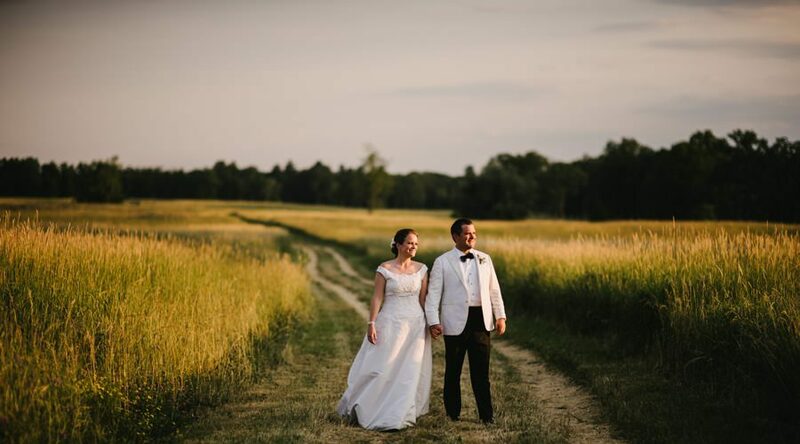 Hudson Valley Ceremonies stands among the top five percent of wedding professionals in the WeddingWire community, representing quality and service excellence within the wedding industry. Awards were given to the top wedding professionals across 20 service categories, from wedding venues to wedding photographers, and were based on the overall professional achievements throughout the past year. We are happy to announce that Hudson Valley Ceremonies is among the very best Wedding Planners, Officiants and Invitation Dealers within the WeddingWire Network, which includes leading wedding planning sites WeddingWire, Martha Stewart Weddings, Project Wedding and Weddingbee. We would like to thank our past clients for nominating us to receive the Bride’s Choice Awards™ 2011.